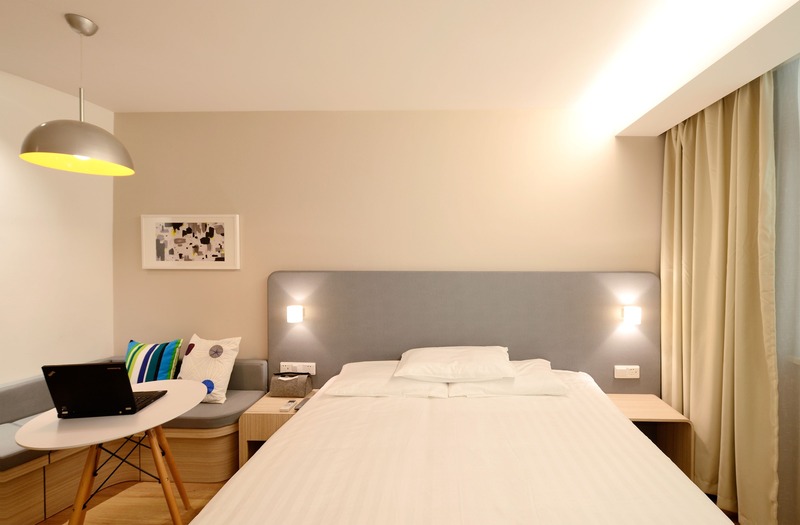 Hoteliers have begun to expand the idea of short-term, furnished accommodation to the private rental sector, reflecting an increased need for efficiency and digital capability. Gerard Greene, co-founder of Yotel, plans to use his new brand Society to simplify the rental process in the UK, reportsThe Negotiator. “To find an apartment, there is a lengthy process where you have to send your passport and various other forms of ID, pay different fees to different people before you are moved into an apartment block – and then you never hear from them again,” Greene says. He plans to reduce this time by making use of digital technology, allowing new tenants to move into their home in as little as 48 hours. A smartphone app will be used to manage the property, enhancing the scope of new fusion industry proptech. Space efficiency will be another one of the key features of the apartments offered by Greene’s Society, with furniture that can be collapsed and hidden in the floor or walls. The move to short-term apartment rentals challenges traditional models of arduous paper applications, identity and credit checks, and year-long leases. Consumers’ needs have evolved to a faster pace; the property market, although historically resistant to change, has begun to answer the call. As people’s lives become increasingly centered around the smartphone, that greatest of productivity tools, businesses adapt in innovative ways. Greene is not the only hotel expert to invest in the idea of short-term rentals. The Real Deal reports Richard Born and Ira Drukier, who own BD Hotels, have unveiled plans to lease one and two-bedroom furnished apartments in New York City at the Pod Times Square, 400 West 42nd Street. Called Pod Pads, leases on the apartments can be as little as one month or up to one year and will include cable, electricity, and wifi; sizes will range from 400 to 800 square feet. Another pioneer in proptech is Imfuna, whose suite of mobile inspection apps have been on the market since 2009 and greatly increase efficiency, facilitating ultra-fast turnaround times and reducing the overall time by up to 75%. Founded by Jax Kneppers, Imfuna has revolutionized the system of reporting on a range of property needs, from property rentals to building construction. The apps, including Imfuna Let, Imfuna Rent, Imfuna Construction Inspector, and Imfuna Home Inspector, record the condition of a property using the mobile’s camera, and offer transcription to convert voice notes into written text. The information is then compiled into a shareable PDF report. Resist though it may, the property sector must eventually adopt the benefits of proptech and digital technology. Thanks to innovators like Greene, Born, Drukier, and Kneppers, adoption will be faster than we think. Whats Happening i am new to this, I stumbled upon this I’ve discovered It absolutely helpful and it has helped me out loads. I am hoping to give a contribution & help other customers like its aided me. Good job. Appreciate you sharing, great article post. Thanks Again. Great. I am so grateful for your article. Really thank you! Really Great. I appreciate you sharing this blog post. Really thank you! Awesome. Wow, great blog. Much thanks again. Keep writing.